I like to click a lot of bird pictures. So when the light started fading it was time for me to head home. 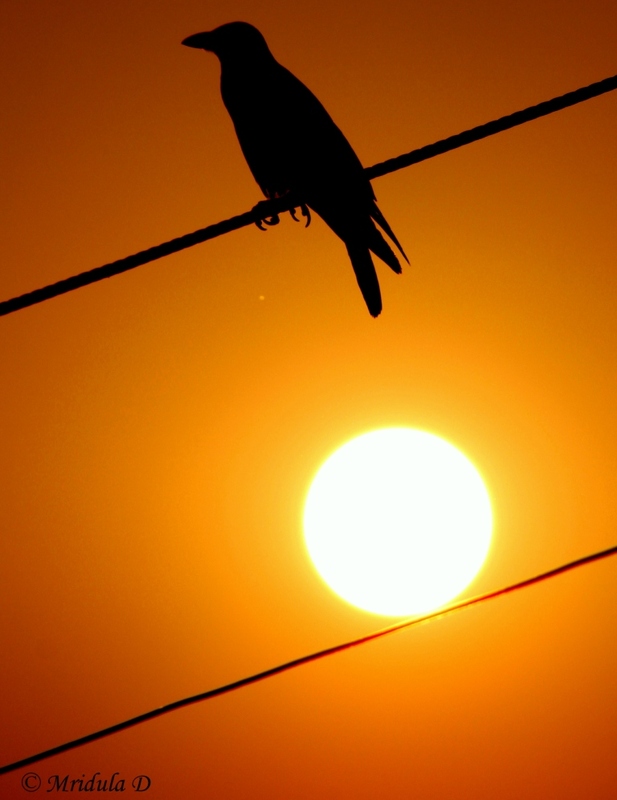 While walking back I saw this crow sitting nicely in the frame with the sun. So which one do you like more? 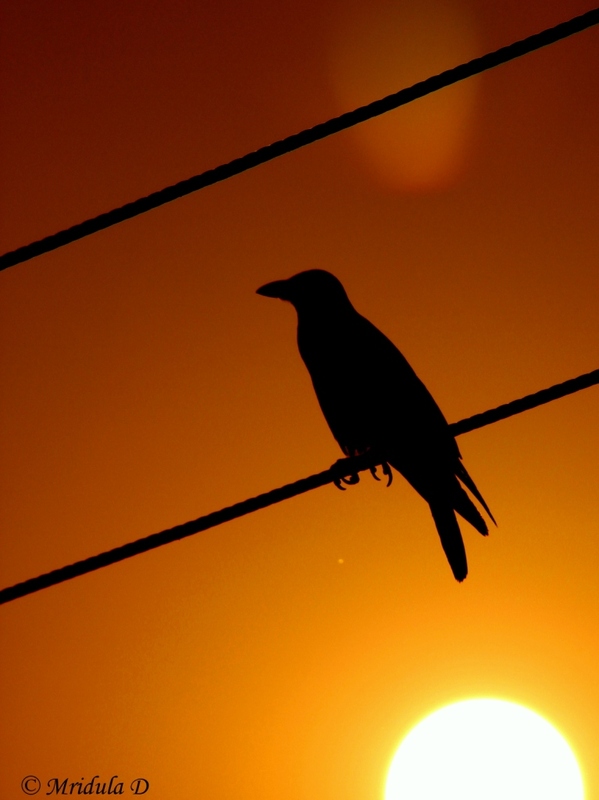 The crow and the sun or the crow and half the sun? Do share your sky pictures at Skywatch Friday.